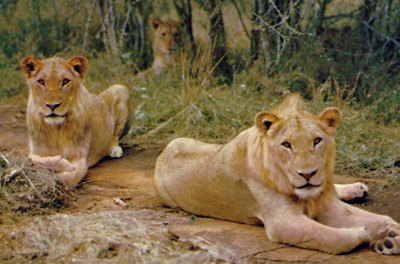 Lions often form close-knit, long term family groups. 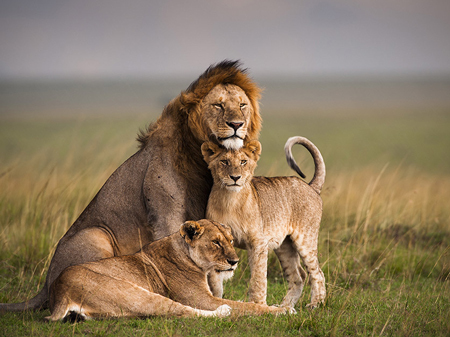 These are known as prides and they are usually in home ranges where they cooperate with each other to hunt large prey; such as, zebras, wildebeests, impalas, and buffalos. 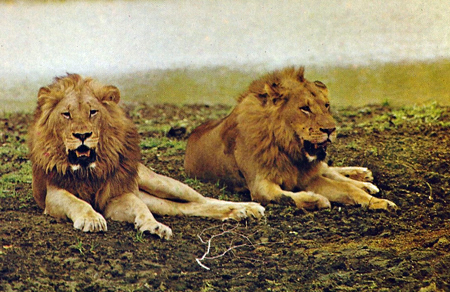 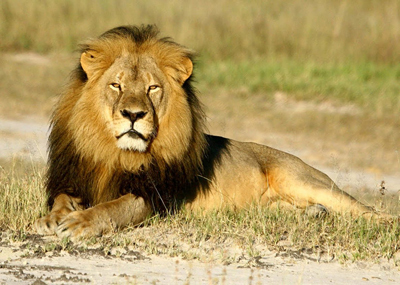 Individual lions also forage alone for small rodents, hares, and reptiles. 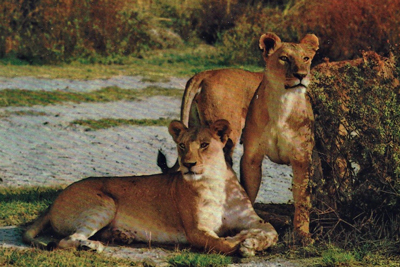 Because of its strength and predatory habits, the lion has been considered for many centuries to be the "King of Beasts". 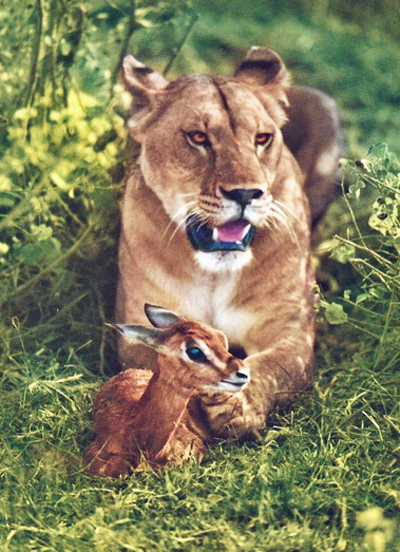 It's hard to believe that a lioness is so friendly with a little antelope, unless she is saving the little creature for a snack later.